A lot is said about the short half life of I131, the type of radioactive iodine used for thyroid treatment. Here are the facts about half life with regard to I131. Day #24 – 12.5 millicuries remains, etc. For anyone who has told you that I131 disappears in 16 days, they are VERY mistaken and giving you very wrong advice. Let’s say you receive a dose of 100 millicuries. The majority of the dosage is being eliminated from your body through urine, feces, sweat, saliva and breath. If we say that a mere 0.5% of that dose results in contamination in your home, what does this really mean in terms of exposure to others? 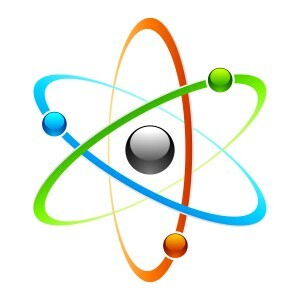 As we discussed in another post, the radioactive beta particles being released upon decay are what causes cell damage. Just how many beta particles are being given off by this contamination? 0.5% of 100 millicuries is emitting approximately 987,900,000 beta particles EVERY MINUTE. So how long is a contaminated area still “hot”? After 11 half lives (88 days), the number of beta particles being emitted by that contamination is approximately 481,601 radioactive beta particles every minute! Now think about the person receiving second hand exposure to that contamination and getting internal uptake to their thyroid. The above example illustrates so simply why it is important to avoid exposing others to contamination. Although an 8 days half life seems like a short period, the total time it will take for I131 contamination to reach safe background levels may be a long time. 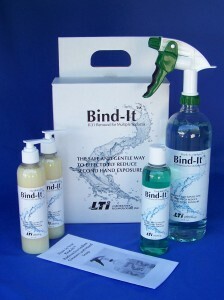 The best course of actions is to remove any potential radioactive iodine contamination with Bind-It™.